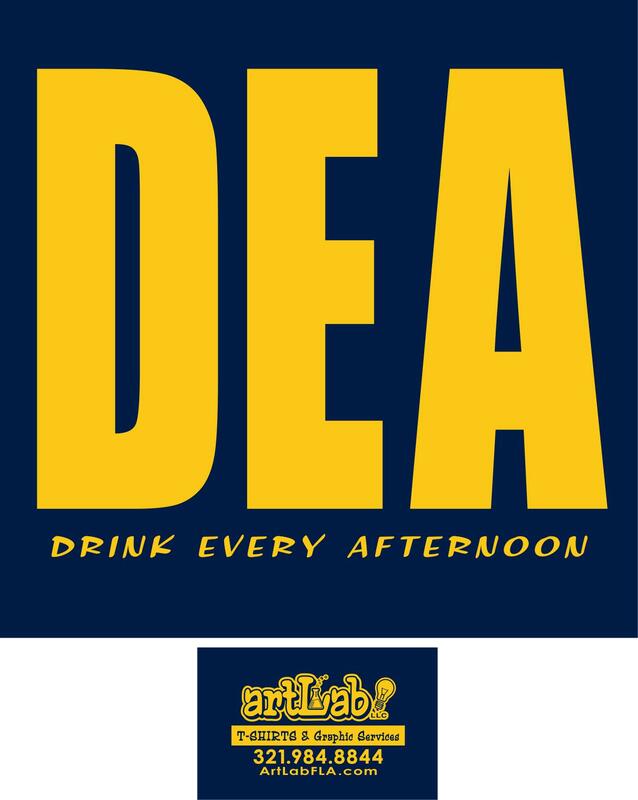 On sale now DEA Tee design. On 100% cotton Navy short sleeve @ $10 or long sleeve @ $12, also available in short sleeve with pocket for $12. Contact orders@artlabfla.com or come by our office at 1728 Agora Circle in Palm Bay. Conveniently located just off the I-95 exit SR514 Malabar Road in South Brevard.